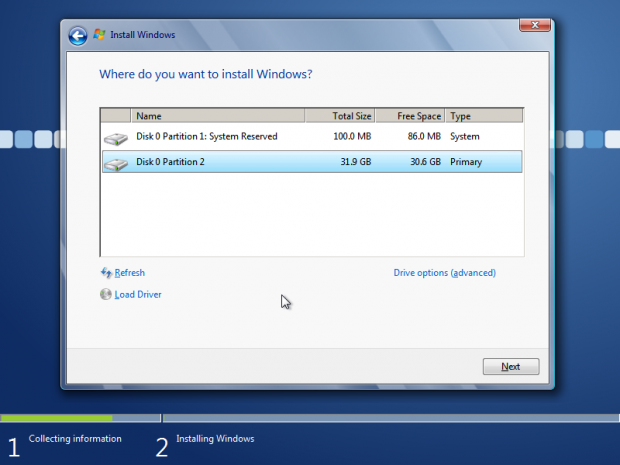 Although Windows 8 was the first consumer Windows operating system that allowed users to create a fully functioning Windows operating systems on a flash drive (on Windows 8 Pro and up) called Windows To Go, it was not the first Windows operating system to have that ability. 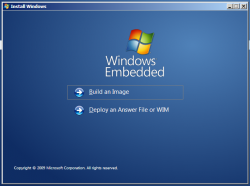 Predeceasing Windows 8’s To Go feature was Microsoft’s Windows Embedded operating system starting with Windows XP Embedded and followed by the Windows 7 Embedded. Note: If you are a Microsoft DreamSpark user, you can get an evaluation copy of Windows 7 Embedded that last 365 days to try out. 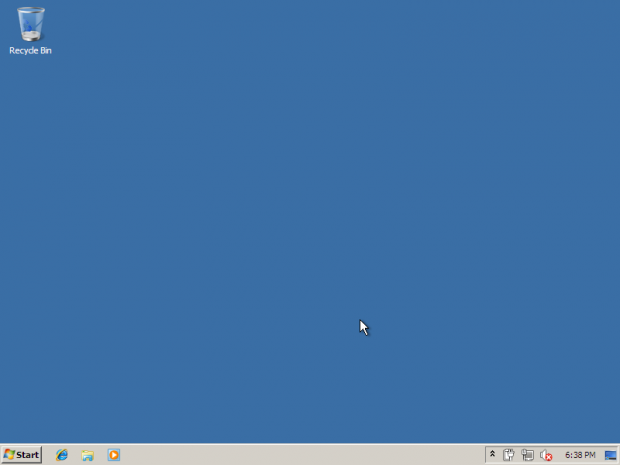 Also, try to get the fastest flash drive because the operating environment will be horrible on a slow flash drive. If you are a DreamSpark user, go to the DreamSpark website to find the evaluation key. 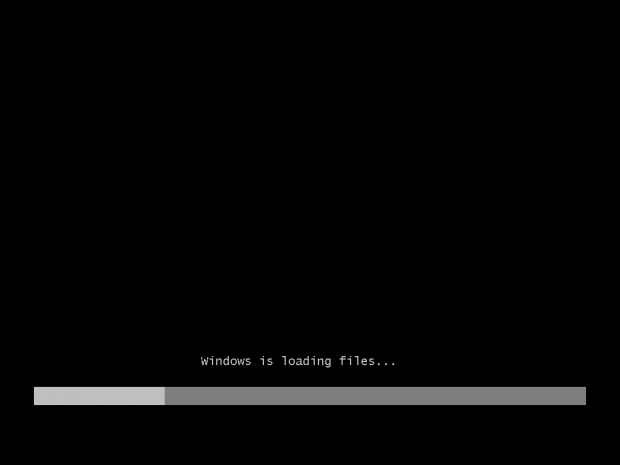 Virtual Machines will not work in this situation because we will need to boot into the flash drive in certain parts of the installation process and it will error out during the installation process. We will need to format as an active NTFS partition to install Windows 7 Embedded on. 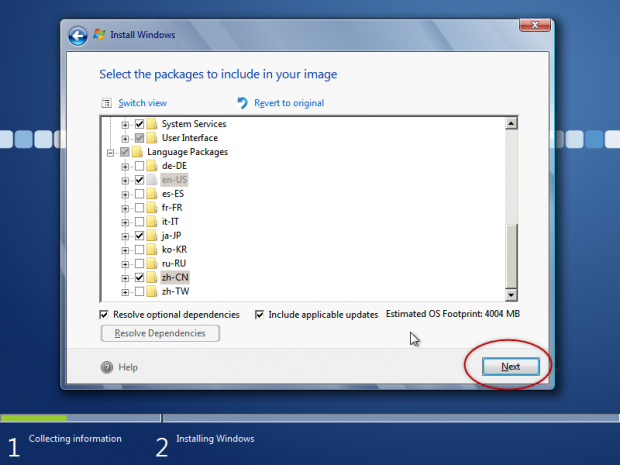 To do this, we have to do the following command (Note: This can be done with other Windows operating system [Vista or higher] or Windows installation disc). 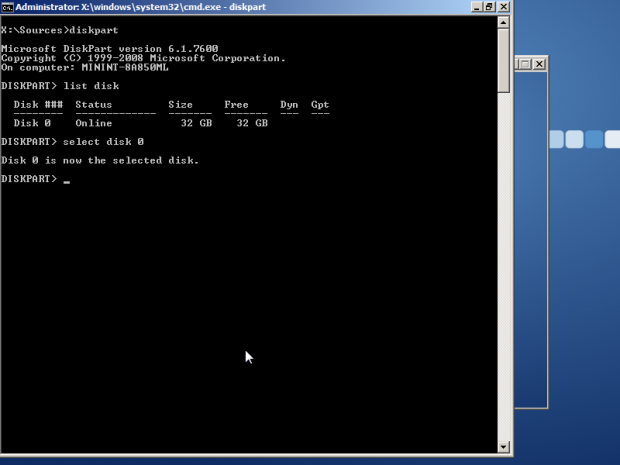 Press any key to select that you want to load the disc. 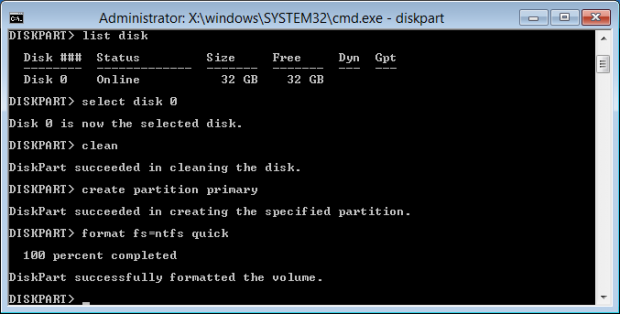 (NOTE: Before proceeding with the next step, you could erase your data if you select the wrong drive to clean. LogicLounge nor its writers are responsible for any lost data or if you accidentally erased your data). 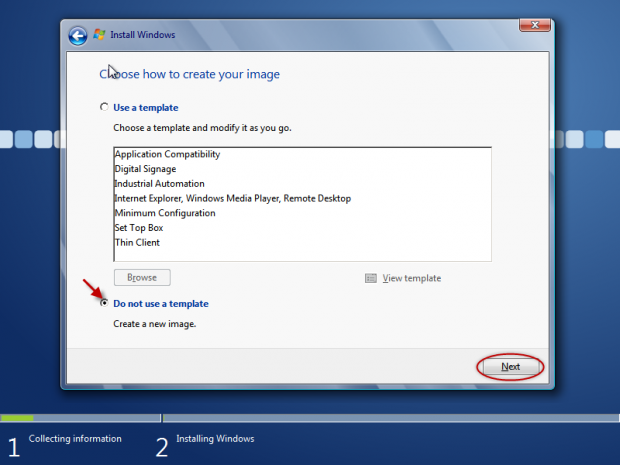 Do not use a template We chose to not use a template so that we can choose what features we want this flash drive to have. 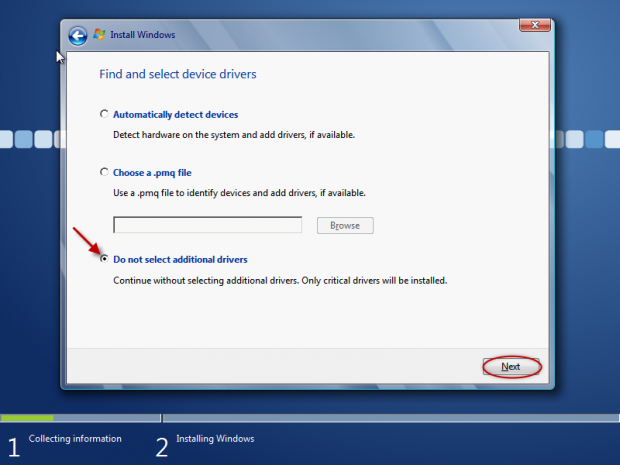 Do not select additional drivers When you run the flash drive for the first time on a new computer, new necessary drivers will be installed so that the system will work. Note: Most likely you will select all of the feature packages available in Windows 7 Embedded (to get the most feature out of it) and one or two languages. 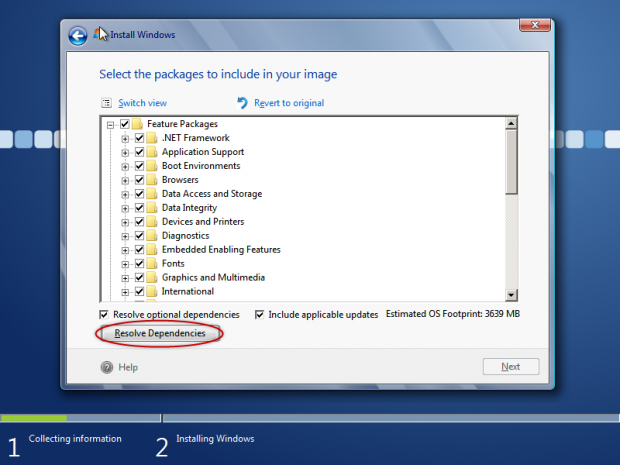 After resolving the list of dependencies, you will be shown with what features you wanted that will be installed to the desired location. After reviewing the features that will be installed to the desired location, you will be asked where to install Windows 7 Embedded to. 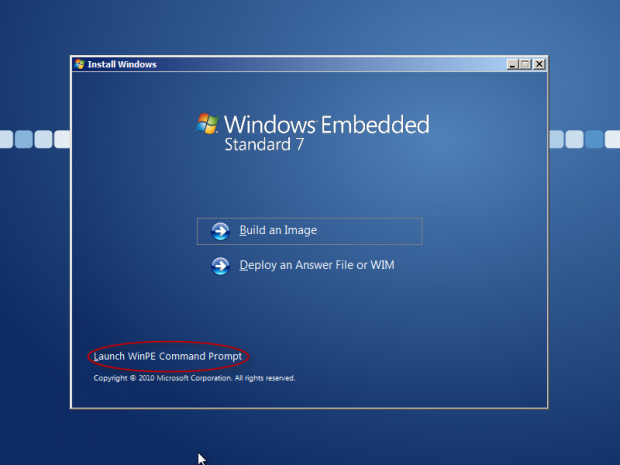 Choose that you want to install Windows 7 Embedded to the USB flash drive. (NOTE: You could erase your data if you select the wrong drive. LogicLounge nor its writers are responsible for any lost data or if you accidentally erased your data). After selecting which drive that you want to install Windows Embeded onto, Windows will proceed to install the operating system to the desired location. 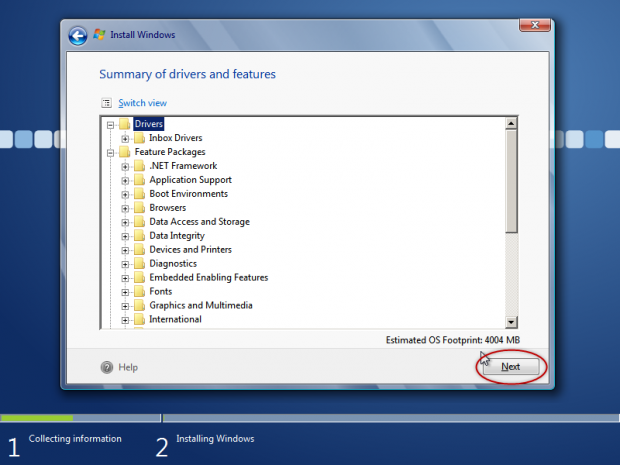 While Windows is installing the Embedded operating system onto the flash drive, take some time off to do other things as it can take 2+ hours to install the operating system onto the flash drive. 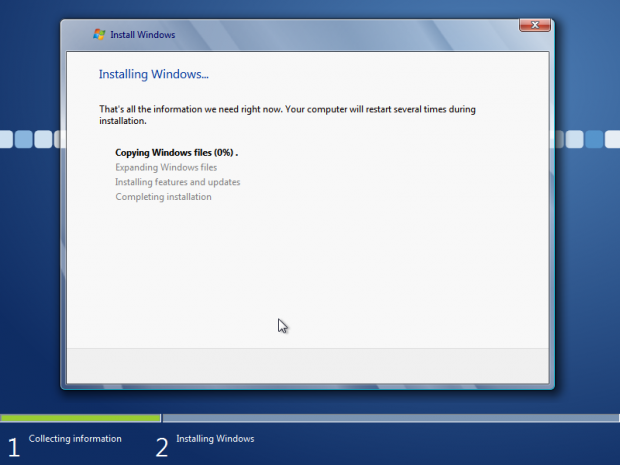 Note that the computer will restart a couple of times (this is why we changed the settings in the BIOS so that the flash drive will boot first) to complete the installation process. 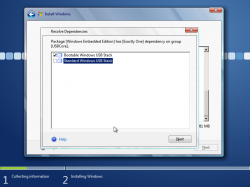 After installing the operating system onto the flash drive, the computer will restart and boot into the Windows Embedded operating system on the flash drive for the first time and prompt you for the serial number. 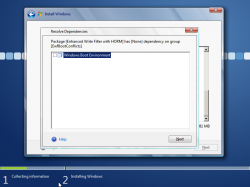 After you insert the serial number listed on your package (or in your Microsoft Dreamspark account), you will be noted that the key is installed (and note the remaining time you have if you have an evaluation key) and proceed with first time setup processes. 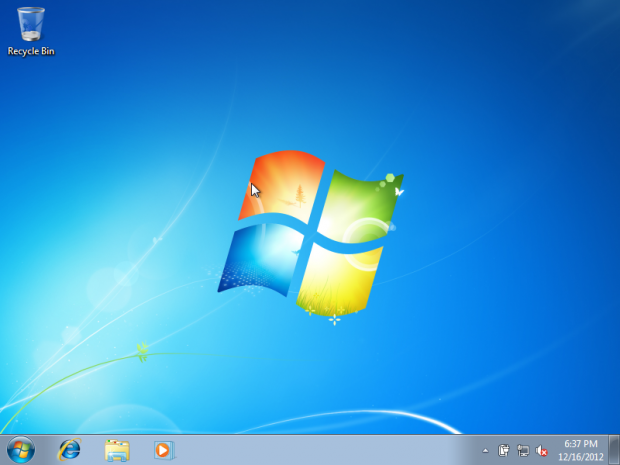 Note after installation: It is best to disable all of the Windows’s Aero design and stick to Windows classic to prevent constant access to the flash drive and keep the operating environment fast and smooth. Also, disable as much start-up applications to prevent a slow boot-up.